Overlooking the gorgeous grounds of the Waccabuc golf course. 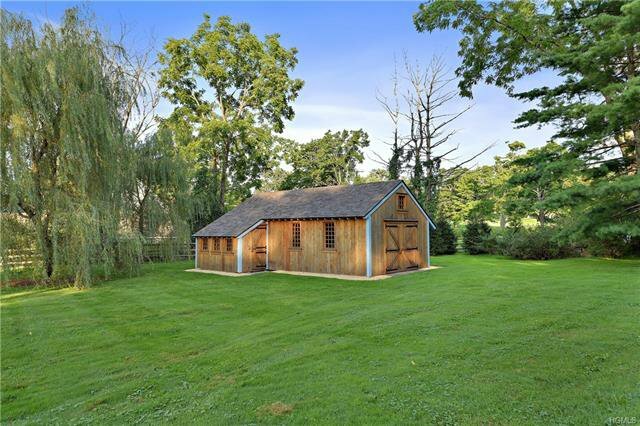 Long drive through pastoral meadows to four estate acres. Impressive and opulent Shingle Country House rich in detail: oak millwork, including doors, paneling, wide crown moldings and extensive hidden built-ins, rich wide board Butternut floors, plaster walls, French doors and custom maok-trimmed windows. 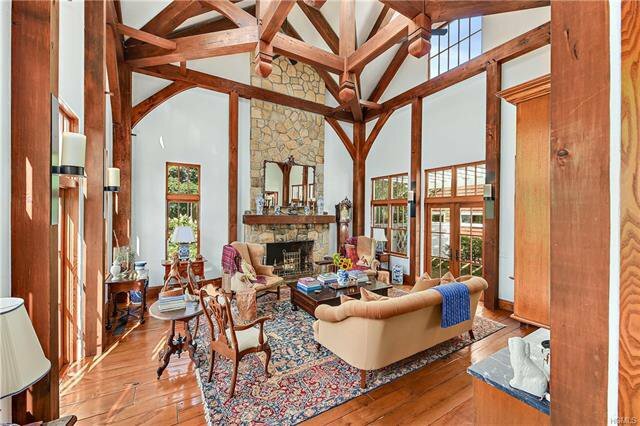 Dramatic Living Room with cupola, massive hand crafted beams and floor to ceiling stone fireplace. Formal Dining Room with fireplace. Chef's Kitchen. First floor Master Suite. Second Master Suite. Incredible Sunset Room with fireplace. Den/Guest Suite with stairs to Gym with panoramic 360 degree views. Fabulous two bedroom Guest Cottage. Swimming Pool. 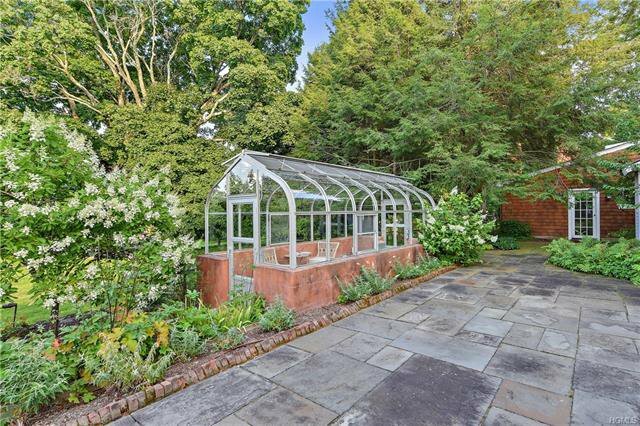 Greenhouse. Never before listed.